This entry was posted in Dairy, Hormones and tagged Dairy, Hormones, Marketing, Organic, Pesticides. Bookmark the permalink. I admire your brevity. My posts never end. I found your blog by chance.useful and nice. 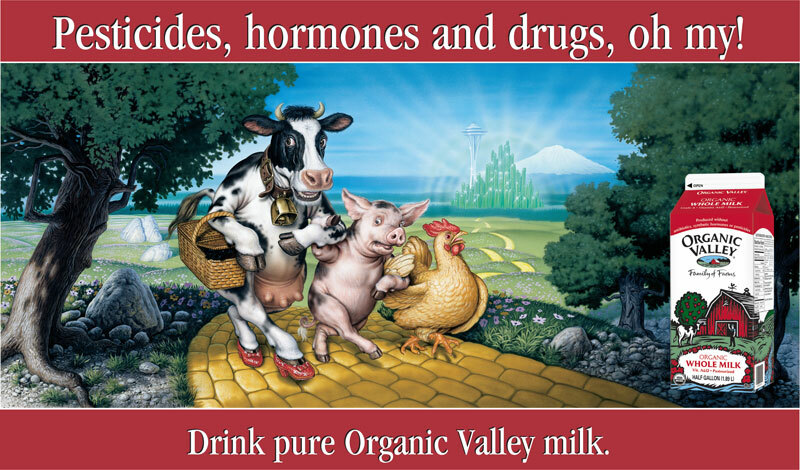 I know this post is old, but I just found it and it is precisely why I have mixed feelings about Organic Valley. The farm I grew up on is an Organic Valley member farm – my dad transitioned to organic because of a chemical sensitivity – and as a co-op they’ve been great to be part of. However, I just can’t get behind their marketing. I’d like to support the co-op my family’s milk goes to, but the way they market that milk bothers me. I agree! There is a place for every single system… but mis-marketing bugs the heck out of me!